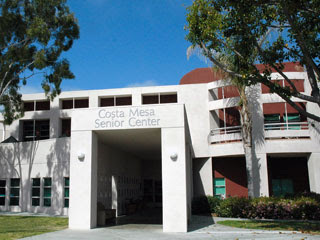 Daily Pilot columnist Byron de Arakal wrote a terrific column today addressing the witch hunt Costa Mesa council woman Wendy Leece has been engaging in at the Costa Mesa Senior Center for the past several weeks. You can read his handiwork HERE. The original article by Daily Pilot reporter Chris Caesar can be read HERE. Leece, apparently provoked by a couple malcontents at the Senior Center, has been sucking up staff time like a bone-dry sponge as she demanded immediate responses to four dozen questions which ranged from the inconsequential to the ridiculous. What ever happened to the "4-hour rule", where any project that required more than four hours of city staff time required a vote of the council? I'm not really surprised that Leece is nosing around the Senior Center. Since she rode into office on then-mayor Allan Mansoor's coattails she's been developing a reputation as a champion of the underdog. She's getting that reputation by over-reacting to every piddly little complaint that is tossed her way. She apparently doesn't have any kind of filter in her make-up to help her sort the important issues from the meaningless. This Senior Center episode is a perfect example. I don't think there are many people in town who will doubt Leece's good intentions. You remember the old proverb, though, that says, "The road to hell is paved with good intentions." I don't think Leece does. Rumor has it that, when the doors to the Senior Center were opened this morning, there was singing and cheers all around as a result of Byron's column today. That's good news for the seniors and those of us who care about them. Not unexpectedly, Byron's column has evoked some critical comments from some of the "usual suspects" - folks that write their own blogs critical of anything not "improver" generated. This is just so much pre-election smoke being blown from parts north in our city. 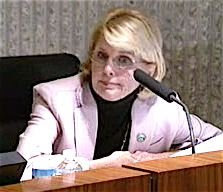 Let's hope that Councilwoman Leece can find something more productive to do with her spare time instead of throwing rocks in a calm lake just for sport. I think she needs to find a new form of recreation to burn off some of that pent-up aggression. Perhaps co-ed mud wrestling would appeal to her, since she seems to be happy to trying dig up dirt at the Senior Center. Thanks Geoff. One thing that most don't realize is that all these negative allegations from Leece and her "squeaky wheels" really have put a damper on fundraising efforts, the real purpose of the board. We are in the middle of our annual campaign for funds and this stuff does not help. The seniors appreciate your input. ill be back in action soon! I am amazed that this controversy exists! A contract is a contract, and if the Senior Center contract does not call for City Council (or committee) oversight or other forms of accountability, it is highly inappropriate for anyone from the City to interfere in the operations of the Board or Senior Center. One local blogger has been throwing about the term "inquisition" and lumping in the Senior Center "charity" with every other negative issue he can dredge up. This is a usually bright man, who has completely gone off the deep end on this one. Byron is dead on - IF THE CITY WANTS MORE OVERSIGHT, RENEGOTIATE THE CONTRACT OR TAKE OVER. Do not meddle or interfere where you do not have the authority to do so. Making this a personal mission sounds like Leece's self-aggrandizing. I appreciate your views, folks. cmtruth, sorry you've been ailin'. There's a lot of that going around. You've been missed. cm resident, I agree on all counts. Byron nailed this one and your observation about that other guy is spot on. I must admit, though, that I couldn't help but laugh out loud at his last entry - nobody ever said he didn't have talent. You've been missed - hope you feel better soon. I have that tickle in the back of my throat and a headache that tells me that my turn to wrestle with this nasty crap going around is here.